NKR Pop Quiz: Ten years ago today, a very important event in No Kill history occurred. What was it? I looked down at the little corner of my computer screen and saw the date: June 11, 2011. What happened ten years ago on June 11, 2001? That “11th” didn’t happen for another three months. June, June, where was I June 11, 2001? And sure enough, though slow as molasses as the coffee had not kicked in yet, it occurred to me. As I drove into the parking lot for the first time as the agency’s new chief, I was met at the front door by a truck driver with five kittens he didn’t want. Spaying his cat was not a priority. To him, the kittens were no longer “his problem.” Whether they lived, died, or anything in between was not his business. By handing them over to us, in his estimation he had done his duty. He had brought them to the Tompkins County SPCA, the animal control authority for the entire county, and they were now our responsibility. For most shelters, this is the point at which the breakdown that leads to killing occurs. The current view is that killing the kittens is, in large part, a fait accompli, and that the fault for the killing belonged to the truck driver at the front door. It was his failure to spay his cat, his failure to make a lifetime commitment to the kittens. But this view, while endemic to the culture of animal control, is not accurate. First, it is because of this irresponsibility that shelters exist in the first place. Second, it is often the practices of the shelter itself that lead to killing. If a shelter does not maintain adequate adoption hours or has poor customer service, refuses to work with volunteers, foster parents, or rescue groups, fails to treat and rehabilitate sick, injured, or traumatized animals, or does not offer TNR as an option, the shelter is not doing much to prevent killing… These problems plague shelters nationwide, and the Tompkins County SPCA was no exception. 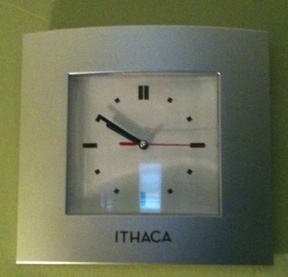 On the wall, above my desk, is a single clock, set to the time in Ithaca, New York. Ground zero in the fight for a No Kill nation. On June 10, 2001, there was not a single No Kill community in the U.S. On June 11, Tompkins County became the first. And it started with a truck driver and a box of kittens in a pot hole-filled parking lot in Ithaca, New York. Today, there are No Kill communities in California, as well as New York, in Nevada and Kentucky, in Michigan and Virginia, and elsewhere. The Humane Society of the United States’ (HSUS) favorite misnomer “euthanasia” has lost its cache. Rescue groups and animal advocates have stopped using it and other HSUS euphemisms such as “putting them to sleep” to describe the abhorrent practice of systematic shelter killing. People are more aware of widespread mistreatment of animals in shelters. And they are less tolerant of the poor care and the killing, the excuses built up over the decades to justify it, and the legitimacy that groups like HSUS give to it. This has put the large national humane groups on the defensive, trying to take credit for the decline in killing nationally even as they opposed and in some cases continue to oppose the programs responsible for it, and by softening their anti-No Kill positions. [The No Kill movement] debunks the myth of pet overpopulation and puts the blame for the killing where it belongs: on the shoulders of the very shelter directors who find killing easier than doing what is necessary to stop it, on the local governments who continue to underfund their shelters or place them under the regressive oversight of health and police departments (and even under sanitation! ), and on shelter managers who protect uncaring and even cruel staff members at the expense of the animals. More than all of that, average people are now aware that shelters kill. And they are aware that there are some shelters and communities that do not kill. […As] one animal lover in Los Angeles, California, told me: “At least now we know what—or more accurately, who—the problem is.” We also know how to make them stop. And in more communities nationwide, we have. The No Kill movement is not only here to stay, it has become the only legitimate standard for sheltering and it is quickly becoming the new paradigm. We’ve come a long way baby! All I did was to create the framework in which they could do so—and ensured that staff supported, rather than impeded, those efforts. Volunteers not only helped us care for, adopt out, and place the legions of kittens and puppies who made their way to the shelter every spring and summer, they helped us save blind pets, pets missing limbs, animals hit by cars, and those with behavior problems. The animals who came to us also found homes because we were supported just as passionately by the public: adopters who took home older pets with special impediments because they believed in our lifesaving mission, donors who helped us double the average gift, and the media who told our story 406 times in one year alone. A No Kill nation is within our reach. Thank you No Kill Revolution for remembering. Click here to read the events of what happened from a volunteer’s perspective. No Kill Revolution’s own Valerie Hayes was a volunteer in Tompkins County before and after I got there and her account, “I Was There” is one of the single, best essays ever written about No Kill to date. Anyone who donates $10 today to the No Kill Advocacy Center will get a signed copy of Redemption.